It was a busy Tuesday for the TightLines team as there were TWO groundbreaking ceremonies to attend! Project Architect Becky Bascom traveled to Rocky Mount, NC yesterday morning to celebrate the groundbreaking of Ravenwood Crossing. This is an 80-unit multi-family project that will be adjacent to the South Rocky Mount Community Center. With Woda Development taking the lead, the City of Rocky Mount has played a critical role in making this project possible. 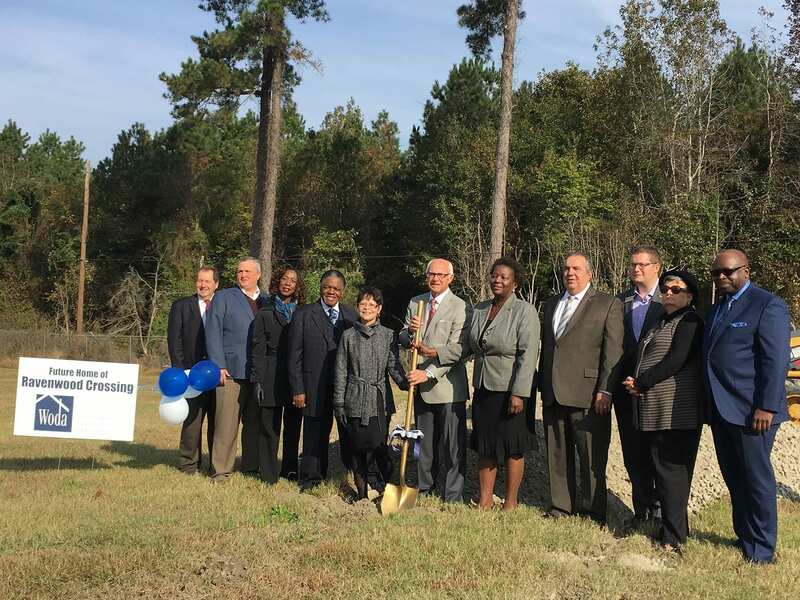 Principal Architect David Maurer attended the afternoon groundbreaking ceremony for Shepard Greene, a senior project near downtown Zebulon, NC. Woda Development is also leading this 50-unit, three-story project on Shepard School Road and has appreciated the helpful cooperation of the Town of Zebulon. Both projects were awarded tax-credits in 2016 through the North Carolina Housing Finance Agency and are anticipated to complete construction by the end of 2018. We are excited to see these much needed projects come to life, so stay turned for more pictures of construction progress! Pictured below: Rocky Mount Mayor David Combs, as well as Rocky Mount Council members, key community leaders, and representatives from the offices of US Senator Burr, US Senator Thillis, NC Senator Bryant, the North Carolina Housing Finance Agency, and Woda Development.